“It’s like a uniform: whenever anyone is getting married or there is a funeral. And it’s not just for my tribe, the Yoruba people. In all the images I saw the material was colourful Aso Oke,” says Owolabi. 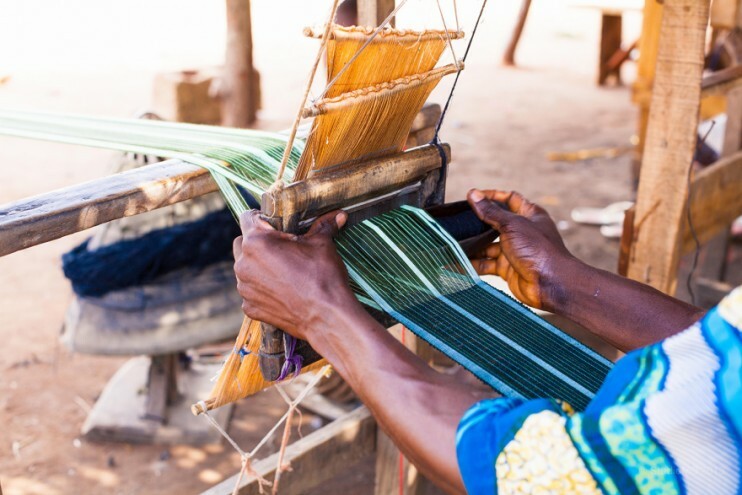 Fascinated by the eye-catching material and unable to find out much about it, Owolabi travelled to the place where it started: Iseyin in Oyo State. There he found a young community of predominantly male weavers, taught by their fathers and grandfathers to operate the looms. “It was good to see the art was being passed down through the generations,” he says. The material is being made in China now, but they don’t understand how it is done. The material they make is so hard you can break it like a biscuit. Owolabi organised an exhibition in November 2014 titled The Woven Beauty, where he displayed photographs he had taken of women in elaborate headgear and pieces of Aso Oke material, showed a screening of a short documentary he had made in Iseyin and held a live weaving performance. The next step for Owolabi was to look at more contemporary applications for the fabric and in January 2015 he began making prototypes of sneakers made from it. He is exploring other styles too, from sandals to lace ups and classic slip-ons. 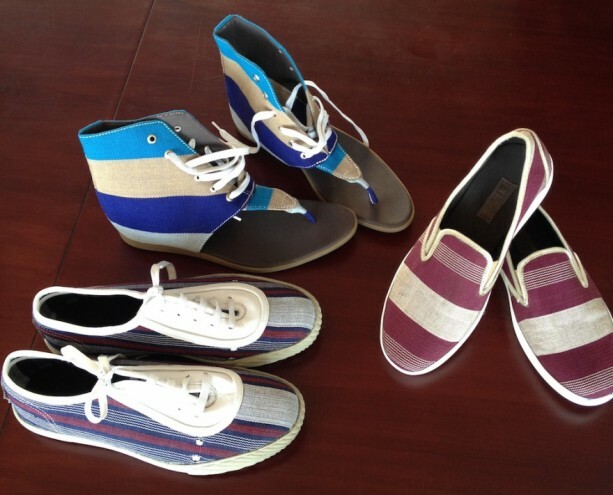 Each pair is made of the striped, woven material. I love how traditional the aso-oke fabric is. I’d really like to use it in a DIY sewing project.